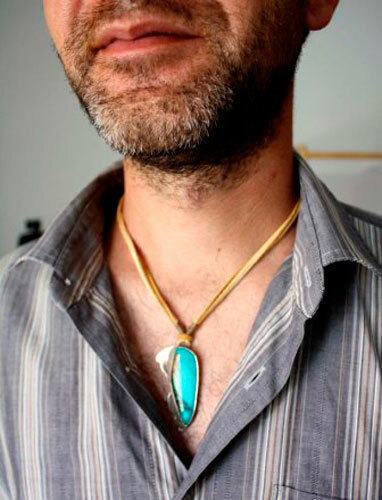 This pendant is a custom order made for a man who chose this deep blue turquoise in our catalog of semi-precious stones online. Our client fell in love with this deep blue turquoise. We observe shades of blue and on one side, brown-black inclusions lined with green. She evoked for him a turquoise blue Caribbean Sea bordering lush vegetation of islands and reefs with the teeming marine life. 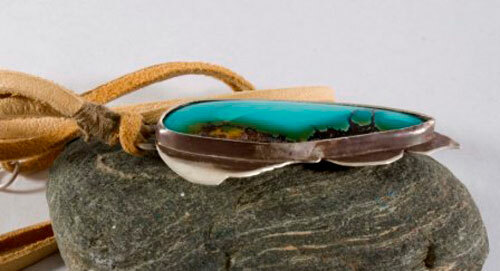 This turquoise stone symbolized his desire to vacation, exoticism and peace... a desire to flutter, free and carefree. 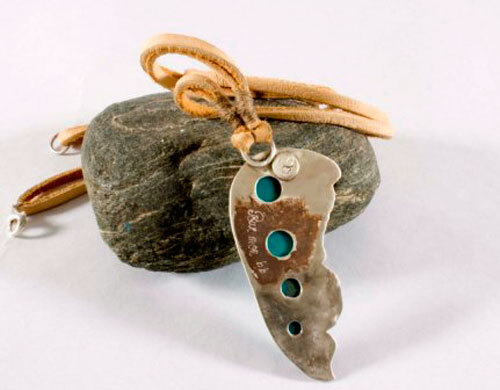 We started from this idea to the realization of this pendant that should remain masculine but express gentle, calm, rest... a certain inner peace. Therefore, we interpreted to form a butterfly wing and remind the idea of flutter, wing beat free of stress. Moreover, the stone color and shape perfectly entered in this context recalling any insects of tropical islands. 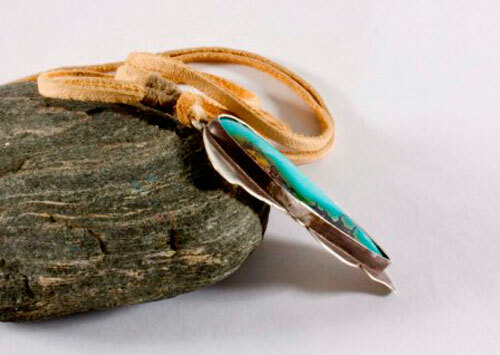 Therefore, I set this Chinese turquoise of nearly 5 cm long, on an elongated support and irregularly cut from one side to evoke the edge of the butterfly wing. The decor is very simple with this sheet cut as a butterfly wing. I pierced the back of the pendant to a glimpse of the back of the cabochon. 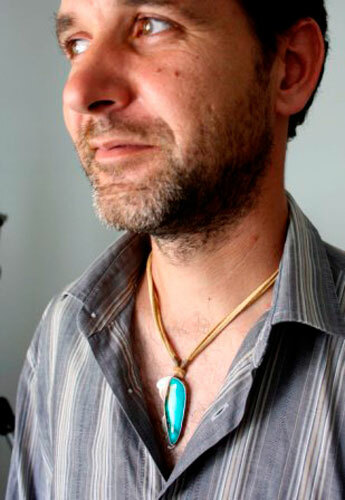 The necklace is suede. It has a soft texture to the touch and very flexible. Looks like cotton when worn around the neck. It too should combine with this idea of sweetness and light, while contrasting with the pendant. The fastener is made of sterling silver. This pendant measures about 5.5 x 2.5 cm. 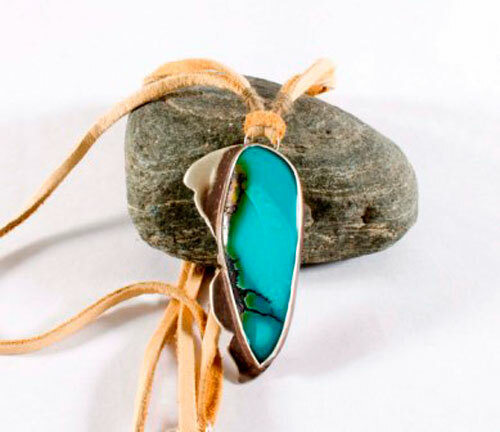 Tag: jewelry, sterling silver, pendant, stone, cabochon, turquoise, blue, butterfly, oxidized, gift, birthday, unique, elegant, handcrafted, handmade, wing, island, tropical, caribbean, sea, ocean, reef, peace, rest, inner peace, male, man, holiday, freedom.